macabre mastermind Fred Mahana. The man was a Wildwood icon in my opinion and sadly an underrated and unappreciated talent. Fred was a true promoter of the Wildwoods and loved the Boardwalk and its honky-tonk atmosphere. In this article we will take a look back at Fred's projects throughout his years on the Wildwood Boardwalk. I had always known that he was instrumental in creating many of the attractions that thrilled me as a child but was astounded to find out just how many he was involved in. His work spans the entire Boardwalk from Sportland to Fun Pier with the majority of his work being done for the Morey organization. Fred had a wonderful imagination and loved to see how far he could take it. He was known around town as "Fast Buck Freddy" - but the buck was never an issue with Fred. His only motivation was to take his ideas and get them out there for everyone to enjoy. Frederick James Mahana Jr. came into the world on May 21, 1941. Born to Frederick and Philomena Mahana in Newark New Jersey - Fred started to show his creativity at a very young age. He became interested in the art of marionettes and at the age of eight years old constructed a homemade theatre in his backyard where he would stage his own puppet shows for the neighborhood. Young Freddy would eventually go on to perform at the local playhouse and even appeared on several television shows. 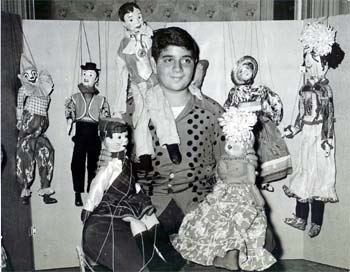 Over the years Fred performed with his marionettes to raise money for many charitable organizations such as the Cerebral Palsy Foundation and the March of Dimes of which he was named teenaged chairman in his home town in 1961. 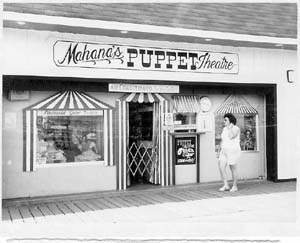 The Mahana family were longtime summer visitors to the Wildwoods and in the late 50's Fred's parents purchased a store on the west side of the boardwalk between 26th and 25th streets. 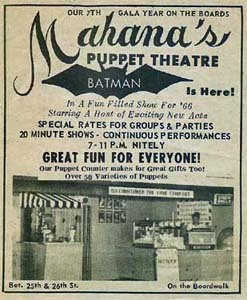 It was there that the Mahana Puppet Theatre was born. 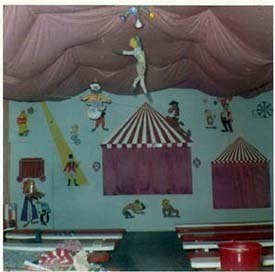 The playhouse was family operated with Fred acting as director, producer and manager and younger brother John assisting him on stage. Fred's Mom would sell tickets and refreshments out front. 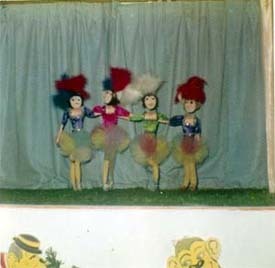 The shows would run approximately 20 minutes and featured various skits and musical numbers with voice characterization performed by Fred. 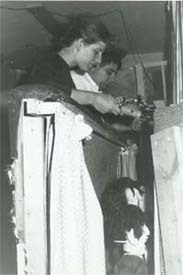 Eventually Fred would move from Newark and make Wildwood his permanent home where he would continue to run the puppet theatre along with his wife Sylvia. It would not be long before Fred would turn his attention toward the amusement industry. 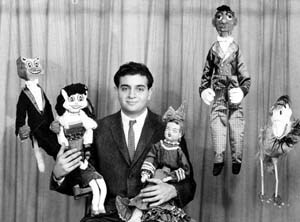 Pictured above left is young Fred with his marionettes. 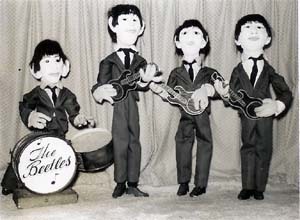 Shown to the right are "The Fab Four" making their appearance at the Mahana Puppet Theatre in the summer of 1964. 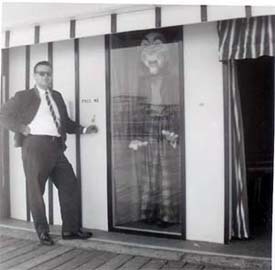 Pictured above is Fred Mahana Sr. in front of the Marionette Theatre. Fred and his wife Sylvia perform with the Beatles.